Talking to your school about food allergies is super important. If you're wondering exactly why it's important; read this post first to find out. Whether its daycare, preschool, grade school or high school, keeping our school informed is one of the most important things we can do as food allergy moms. Unfortunately, whether we mean to or not, there are too many of us that aren’t doing this, or are not doing a great job. I know there are many reasons for this, but no matter what we use as an excuse, this is something we need to do, mama! When talking with our school you’ll find the preparation for the meeting is much more intensive than the meeting itself. Even so, once you’ve done your research and become completely prepared, you’ll find the meeting goes much smoother. I find that breaking things into steps and smaller pieces can help a lot when it comes to things that overwhelm me. And let’s face it, the overwhelm is real when it comes to school & food allergies! 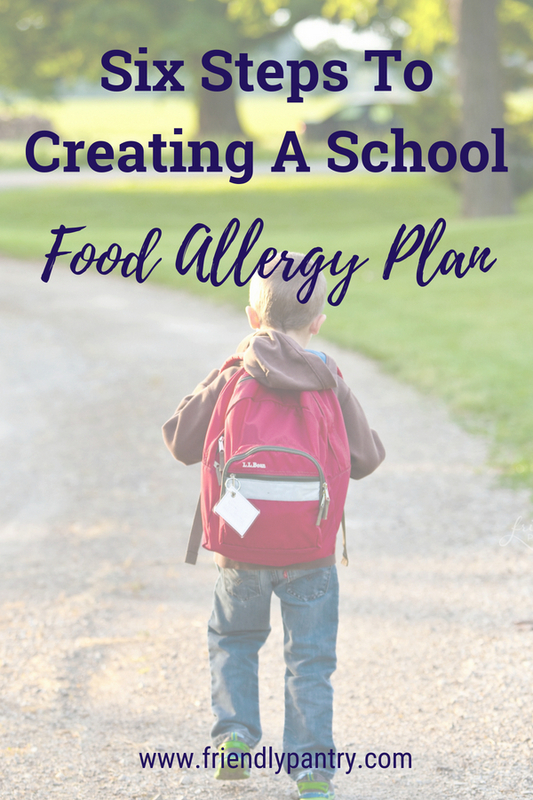 Here are seven steps to creating a successful food allergy plan with your school. Make sure you’re ready to communicate food allergy basics. Think simple and easy. You want to be clear and to the point. Don’t forget about common misunderstandings about food allergies so you can ensure your teacher knows the facts. There’s a lot to talk about in the meeting so explaining in a quick and simple way while showing the allergy is real and serious is important. Know what solutions you want the school to provide and WHY. Research plan alternatives and ideas. This is one of the biggest steps and takes time and effort on your part. Not every solution you find will work for your situation, even if it’s a popular choice. So consider: Why will these solutions work for your child? Is it easy for the teacher to enforce and follow through? How much time will these solutions take and is there a way you can help the teacher? Back your plan up with statistics from reputable sources whenever possible. Be ready to hear alternate solutions that might work better for your teacher. When was the last time you've tried to break a habit? Do you remember how hard it was to change your actions? How do we usually go about doing this? I don't know about you, but I try and make it as easy as possible; because if something isn’t easy or doesn’t fit into a routine, it won’t get done. Teachers are no exception. Teachers are pulled in so many directions at once and it’s in our best interest to help them succeed by using some pre-thought OR just simply asking for their input. Not only that, but making things as easy as possible for the teacher will show that you value their time. Make a list of all the things you talked about in the meeting with easy action items. Agree on completion dates. Follow up with the school to make sure they actually happened. If the school is having difficulty, find ways to help them. Making sure your child knows how to keep themselves safe is a big part of their school safety. This isn’t a one-time discussion so be prepared to re-visit food allergy safety with your child often. Make sure they’re prepared for the challenges they might face at school. One big challenge my daughter had was learning how to respond to kids when they asked her questions about her allergies. After she told me this, I started creating lists of questions like “what’s in your pouch?” “will you die if you eat something you’re allergic to?” (yes, this WAS a question she got), “can I see your EpiPen?” and “why can’t you share my food?”. I gave her “kid appropriate” answers and we role-played so she could practice answering them. For more information, click here to get the “What I teach my child” free printable. I have a saying: anything worth doing is worth doing with the right tools. Ok, maybe it’s not exactly a “saying”, but it’s something I strongly believe. Make sure your child & teacher have what they need. Of course, epinephrine injectors are the first place to start, but they’ll need something to carry them with (don’t forget coolers for hot days). Other things to think about are a medical bracelet and a lunch box. Make sure to order items well before school starts so your kiddo is ready on their first day. As with many things in the life of a food allergy mom/dad, school food allergy understanding takes a lot of effort on our part. And it may not always be easy. But it’s important and it is WORTH IT. These 6 steps are a great way to break down this overwhelming process into bite-size pieces that are manageable. We can do this, mamas; one teacher, one day, and one year at a time. Did this article help you? 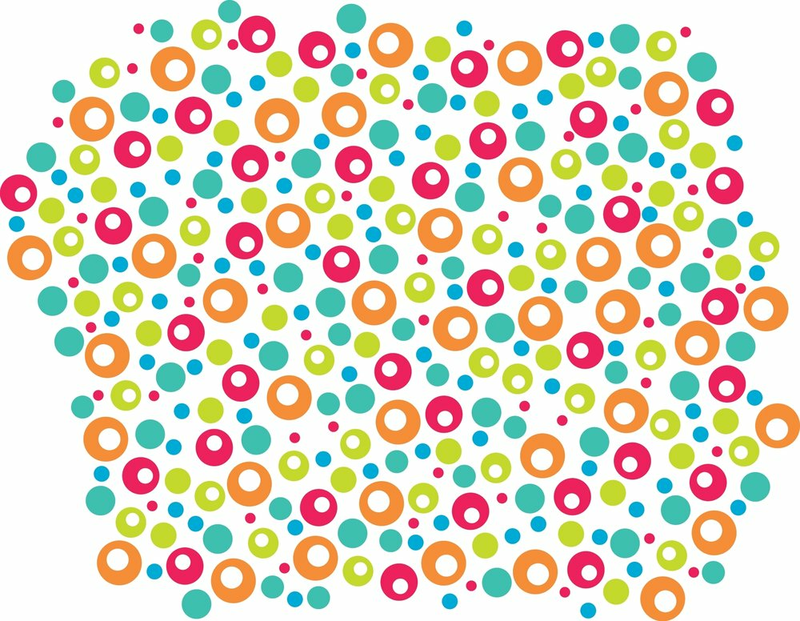 Comment below with something that you'll use for your school allergy meeting this year. Want more info about your food allergy plan for school? Click below find out where to start with the Ultimate Guide to School Allergy Solutions.